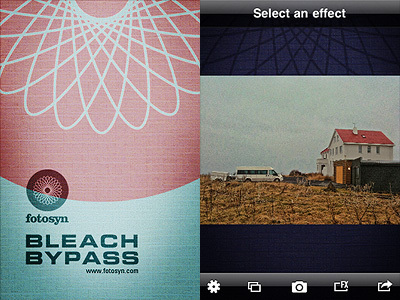 Fotosyn recently released their Bleach Bypass for iPhone, an app exclusively focused on simulating skip bleach processed photography. Bleach bypass is an incorrect color processing that consists in skipping the bleaching function in the developing of a color film. The skipping can be total or only partial. The result is an image characterized by desaturated tones, stronger dark areas, increased contrast and extreme grain. Bleach bypass is also known as skip bleach or silver retention, because the silver is retained in the emulsion along with color. Although renown and appreciated for artistic purposes — very famous is the case of Spielberg’s Saving Private Ryan, which makes use of this processing extensively — this technique is particularly costly due to equipment requirements needed to achieve it. It is however very easy to imitate digitally, so its popularity has greatly increased in the last years. In Bleach Bypass, you can either load one of the photos in your Camera Roll or take shots with the built-in camera. After you have your picture to process, you can apply one of the seven filters available in combination with one of the three borders included. There are three standard effects — Cinematic, Extreme, Monohint — and four tint effects — Blush, Breeze, Verve, Nostalgia. You can pick your desired filter from the FX screen which you can access by tapping on the FX button, but you have to enable vignetting or choose a border from the settings panel, which is kind of nonsense in my opinion — since there are not many variables, I think it would be easier and less time-consuming to have all of them accessible from the FX screen. Once you have the right combination, you can save or send via email. The processing takes place right away after you choose your effect, unlike other apps that first let you have a preview of the result and then actually process the image when you save it. This means it takes some time to switch to one effect to the other, but it also means saving the image is immediate. Two different combinations effect/border in Bleach Bypass app for iPhone. The effects are very nicely done, but definitely not outstanding: on the iPhone, I’ve seen many times convincing bleach bypass-like processing; there are several apps with similar filters that aren’t labeled as bleach bypass, for instance. A few of this app’s effects look almost identical, with just very slight differences in hues and contrast. Which is kind of disappointing, since there are very few choices to begin with. All in all, it feels like the effects in Bleach Bypass could have been a single filter with adjustable parameters instead of seven individual filters which you cannot adjust at all. Thank you for the review. I purchased this app and I like it, but haven’t found one picture yet where I like the resulting image. I will keep trying though. You mentioned that there other apps that have the skip bleach effect. Please do mention their names, sounds very interesting. So far, I know SkipBleach which is a dedicated app and has the best and strongest effect, Cameramatic (from same developer) which has the Bleach Bypass filter, and Photo Fx. What others are there? Mar, some of the other apps that are able to deliver similar effects are Mill Colour, Picture Show (there is a Bleach effect, but I am mostly thinking about the Studio one), MonoPhix (if you play with the Alpha parameter in MonoPhix it basically gives you a bleached photo) and, if I’m not wrong, Film Lab also has a bunch of filters that can give you similar results. All these apps will let you adjust parameters like brightness and contrast, hue and saturation, etc., so you can make sure the filter will look OK on most of your photos. Apps like Photo Style let you obtain bleached looks, but you have to do it by yourself manually, because that app has no ready-to-use filter for this purpose. These are just a few I could think of right now. Hope it helps. Hi and thanks for your review. 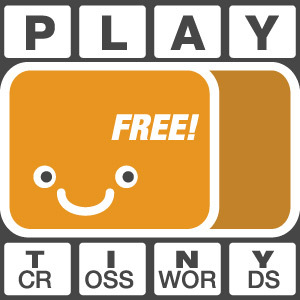 I’m the developer of the app and I really appreciate your comments and thoughts. There’s a v1.1 probably in the pipeline which will address some of the issues you raised; and of course some aesthetic tweaks to some of the effects. The general idea is to keep the options fixed as presets; that way the integrity of the effect is maintained but will definitely be looking at how elements like borders and vignettes are applied. Beautiful photograph used in the review by the way. Thank for your comment and for the info about future improvements regarding Bleach Bypass, James. We’ll be looking forward to updates! Mar… I reckon some images will render better with the effect than others, principally down to the nature of contrast etc. But do please keep trying and playing… that’s what it’s all about; and again thanks for your kind comments. Pu, thank you for your reply. You are right. I thought the apps you mentioned are more desaturated than extreme bleached. But photography is about casting aside preconceptions and exploring new ideas, so I will keep your app suggestions in mind next time I app a photo. James, wish you all the best for your app, and thank you for bringing it to us. The screenshots in your app description look great, I know in time I will take a good enough picture that will benefit from your app. Not having a preview is quirky, because you assume we have memorized the look of each effect. Hope that is changed. In the meantime, you can add short descriptions in the FX screen about what each effect does. I have not tried borders and vignette, because they are in the iphone’s settings. Well, none of the effects I suggested is extreme, that’s true. But as I said, most of those apps let you play with various parameters so you can actually make them more extreme if you like. Just to follow up on my previous comments, we’ve got Bleach Bypass version 1.1 coming out later on today. Thanks James, looking forward to it.